At long last, the collaboration from Underscore and One Off Hospitality will open on Monday. 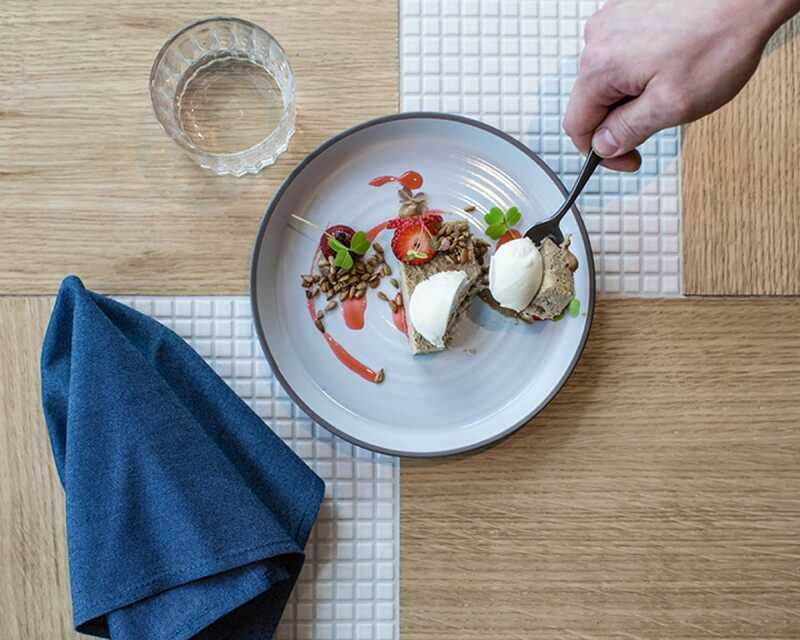 It’s the final countdown for the Underscore and One Off Hospitality teams—the much-awaited dual collaboration, Pacific Standard Time, is officially opening its doors to the Chicago public on April 30. 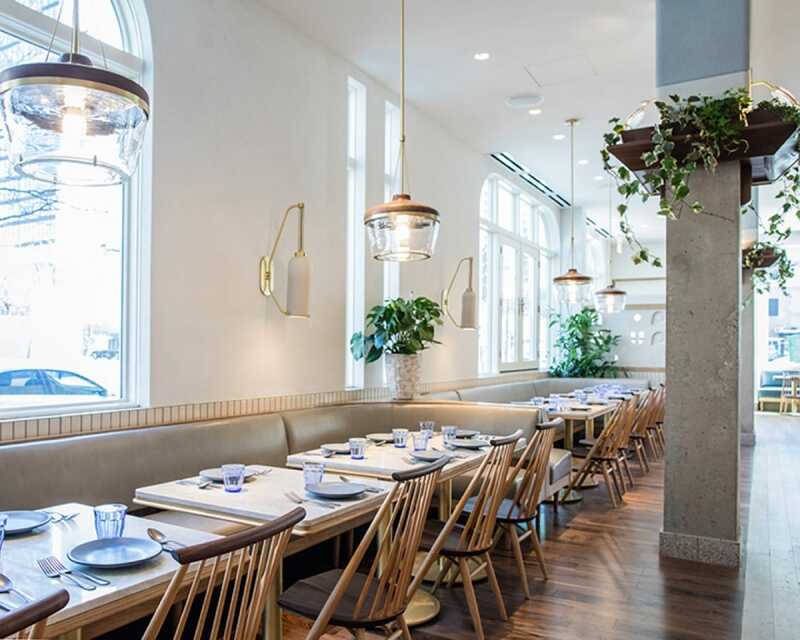 This is the first venture from chef Erling Wu-Bower (formerly of One Off's Nico Osteria) and director of strategic operations Joshua Tilden, who partnered with One Off’s Paul Kahan, Donnie Madia and Terry Alexander last summer. Natural light floods the space at Pacific Standard Time. Housed in the former Tavernita space at W. Erie Street in River North, the energizing 8,000-square-foot, 222-seat restaurant designed by NYC-based Parts and Labor looks as if it was plucked from the City of Angels thanks to the natural light that floods through the floor-to-ceiling windows. The piece de resistance are the two wood-burning hearths that are located in the center of the restaurant—which brings us to the menu. Look for market-driven fare inspired by the California coastline, with a heavy focus on what The Golden State does best: produce. Wu-Bower’s seasonal menu will showcase the best growers and producers of the Chicagoland area, only purchasing from California during the cold winter months. Starters on the opening menu include avocado salad with cucumber, coraline endive and shabazi-sour cream vinaigrette; wood-roasted baby carrots with sweet onion puree, zhoug, almond and dill; and soft shell crab with peanut aioli, peanuts, spring onion, radish and spicy cucumber. Pizzas coming from the hearth include traditional Margarita with preserved giardinera, as well as ramp and ham. A whole roasted duck served kebab-style is also available for $85. 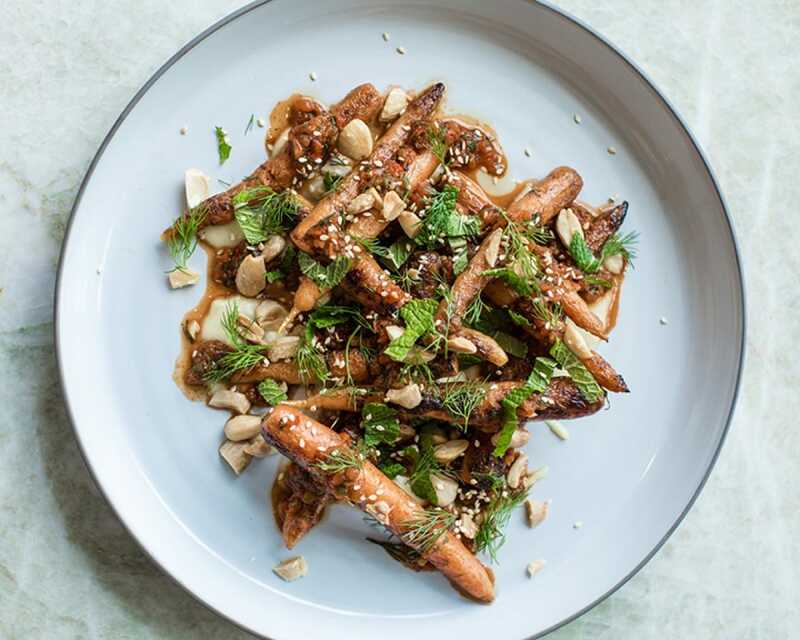 Wood-roasted baby carrots with sweet onion puree, zhoug, almond and dill. Chef Natalie Saben, who has trained under Chicago’s culinary elite—Graham Elliott and Curtis Duffy—runs the pastry department, serving up fruit-forward desserts. Pacific Standard Time opens this Monday, April 30 at 141 W. Erie Street. Reservations are available here. Photos courtesy of Brian Willette.